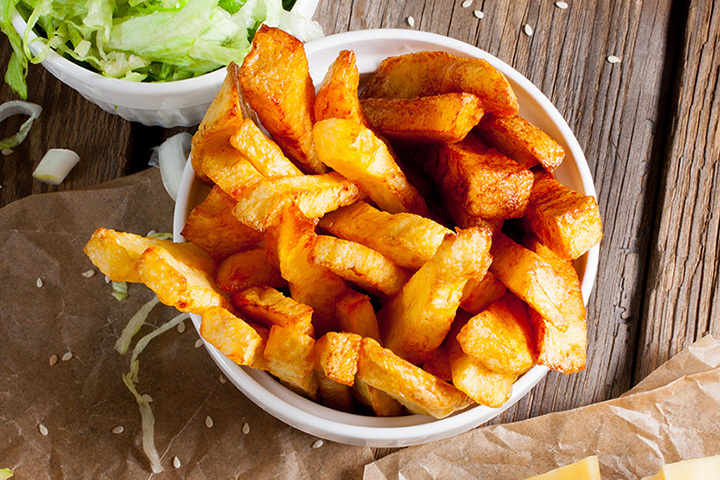 French fries are the perfect accompaniment for any meal. They can be as simple or as elevated as the meal calls for, and they're endlessly customizable. Whether you like them thin and crispy or cut into wedges, served with just salt or loaded with a pile of toppings, there's a French fry for everyone at these 10 awesome eateries in Mississippi! Visiting Phillips Grocery is like stepping back in time. It's an experience you'll enjoy as much for the ambience as for the food. But make no mistake—the food is what has kept customers coming back since 1948. Be sure to order the hand-cut fries with your meal. Saltine Restaurant has built an excellent reputation in the Jackson area for having amazing food, and their fries are no exception. You'll definitely want to try their gravy fries, which are topped with roast beef gravy, gruyere cheese, and pickled chiles. The original Doe's Eat Place was opened in Greenville in 1941, and even though they've expanded their operations since then, their commitment to quality has remained unchanged. The fries that accompany the steaks are cooked in an iron skillet, giving them a home-cooked taste you're sure to love! Stamps Superburger is the kind of place you hear about word-of-mouth. They don't have a huge social media presence, but what they do have is a menu full of delicious, unfussy food. The fresh-cut fries at Stamps can be tossed in any of their wing seasonings—try Al's Special Seasoning and don't forget a side of Cool Dell sauce! The Delta Bistro in Greenwood is an upscale restaurant with its finger firmly on the pulse of the food scene today. They specialize in elevated comfort food, so of course this is THE place to find great fries. The duck fries with mozzarella are the perfect compliment to any meal! Tucked away in the town of Brookhaven is the Magnolia Blues BBQ Company, where you'll find some of the best cooking this side of the Big River. The fries are no exception—a plain side of hand-cut fries is great, but you'll want to order the French Fry Pile, topped with plenty of cheese and your choice of chili or the bacon they cure in-house. Another noteworthy entry from Greenwood, Lusco's is a popular fine-dining restaurant in the Delta. With such excellent entrees, the sides could easily take a back seat, but not here. Their fries are hand-cut and have just the right amount of a crispy outside to ensure you won't have any left on your plate! The Blue Canoe is a cool, laid-back spot in Tupelo where you'll find a great beer selection, live music, and, of course, killer food. Fry lovers will go crazy for the Crack Dip Fries, a big pile of fries topped with a cheesy spicy sausage dip that definitely earns its name. Something about the Delta must produce people with a passion for great fries. Stafford's Market & Deli is a popular lunch spot in Drew, Mississippi. When you order the potato wedges topped with pulled pork, cheese, pickles, and avocado sour cream, you'll see why they've had a steady following since they opened in 2004. Patio 44 in Hattiesburg is a unique blend of a comfortable, casual atmosphere combined with upscale dining. The fries served alongside the sandwiches are delicious, but for an appetizer to remember, try the Debris Fries, topped with pot roast debris, made-from-scratch gravy, and cheese.